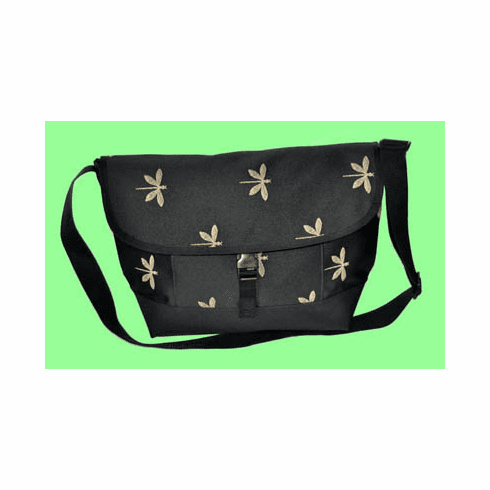 Dragonfly Messenger Bag - Handmade in San Francisco, using a beautiful onyx cotton/poly blend fabric with contrasting embroidered dragonflies. Large enough for a laptop and some books, the Dragonfly Messenger Bag has three inside pockets to keep you organized, a water bottle holder and one outside pocket. Locking adjustable strap closure with a 50" maximum adjustable shoulder strap. Great for business, school or travel, a durable bag with no limits.